I have recently started using Pro rather than X and am getting to grips with headers. For this particular site, I am trying to start with a template. However, every template loads as full-width, i.e. not in the standard 1200px container, which is how they all show in demo form and which is what I want. I have no idea how to contain it. Can you help? 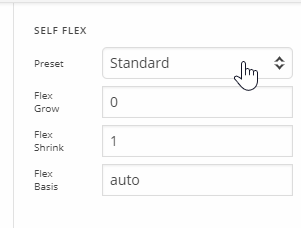 You can change the width of Header from Bar > Dimension > Content Max Length and Container > Setup > max Width. Thank you, but how do I make the 1200px width be centered in my container? I'm sorry but I don't understand what you want to achieve. 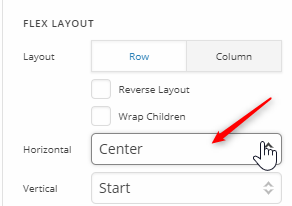 You can center the Container in Bar by setting the Bar's Flex Layout > Horizontal to Center. Hi, I do understand all this, and I have done all this! That's why I don't understand why it's not doing what I expect. I have built headers before using Pro, and I have used one of your standard templates, as well as tried one of my previous headers as a template, and it's still filling the whole width of the screen, no matter what I change. That's why i wondered whether it was a setting somewhere else that was overriding what i was doing in the Headers section? I wanted to check your header and I am unable to access the same. Under Pro menu I only see Validation and Email Forms. I don't see header and footer builder option. It seems that the Pro Theme is broken on your website. I also see another Pro Theme menu in the backend which has header and footer builder menu. Along with that I don't see many of the settings and options in Header builder editor. To me it seems that the installation is broken. In that regards I suggest you to first re-install Pro Theme properly and use the most recent version of Pro Theme. To fix the broken installation, please refer following resources. 2. Theme Update guide: Please take a look at following article to update Cornerstone.